The Australian Government is delivering a new world-leading Antarctic icebreaker to replace the aging Aurora Australis. This once in a generation commitment is the centrepiece of the Australian Antarctic Strategy and 20 Year Action Plan launched on 27 April 2016. The $1.9 billion package will cover the design, build and 30 year operational and maintenance lifespan of the icebreaker, representing the single biggest investment in the history of Australia’s Antarctic programme. The icebreaker is the main lifeline to Australia’s Antarctic and subantarctic research stations and the central platform of our Antarctic and Southern Ocean scientific research. Reliable access to Antarctica and a modern, sophisticated and multidisciplinary science platform in the Southern Ocean is essential to Australia’s scientific research and leadership in Antarctica. 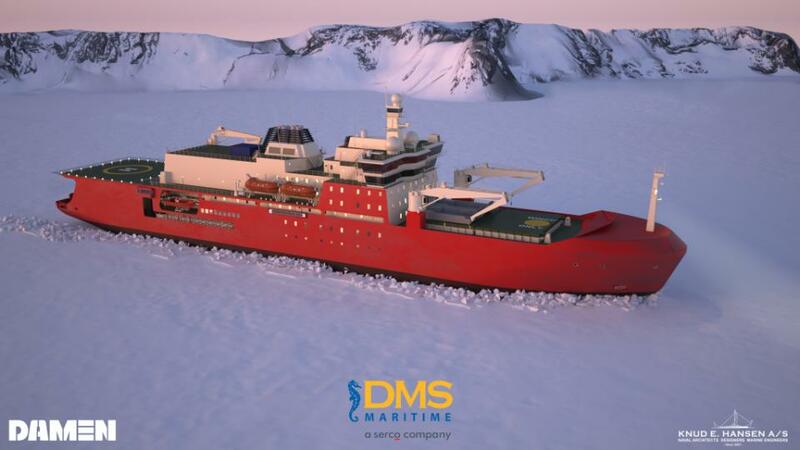 The Australian Government has signed a contract for Australia’s new icebreaker with the Australian company DMS Maritime Pty Ltd. They will be responsible for both the overall design and build of the ship, and the operation and maintenance of the ship over its expected 30 year life. The custom built ship is due to arrive in Australia, to its home port of Hobart, in mid-2020. • state-of-the-art research, rescue and resupply capabilities. The new icebreaker will be Australia’s only icebreaking scientific research platform. Scientific equipment will include a moon pool, drop-keel, multi-beam bathymetric and scientific echo sounders, fisheries sonar systems, hydrophones and underwater cameras to support a wide range of scientific research, and it will offer scientists unprecedented and extended access to the Southern Ocean and Antarctica. The new icebreaker will sustain the next generation of Australian Antarctic operations and will create greater opportunities for Tasmanian businesses to provide a range of support services over the expected 30 year life of the vessel. To celebrate the central role of the icebreaker for the Australian Antarctic programme and the significance of Australia's connection to Antarctica, the Australian Government will seek public input on the naming of the vessel. Details of a competition will be announced in due course. A new icebreaker for Australia’s Antarctic programme represents a once in a generation investment by the Australian Government. It is a testament to the Government’s strong commitment to our Antarctic programme and a new era of Australian Antarctic leadership and scientific endeavour. The contract signing follows yesterday’s release of the Australian Antarctic Strategy and 20 Year Action Plan by the Minister for the Environment, Greg Hunt MP. The total investment is over $1.912 billion, with $529 million being invested in the capital cost of the icebreaker, and $1.38 billion to be spent on operations and maintenance over its 30 year lifespan. More than $1.1 billion (around 80 per cent) of the operations and maintenance spend will be in Australia, with the majority expected in Tasmania. The new icebreaker will help to further expand Tasmania’s role as the gateway to Antarctica, and is great news for jobs and growth in the state. The Turnbull Government’s commitment to a new icebreaker is the single biggest investment in the history of the Australian Antarctic programme. It will support operations and science and ensure Australia is the scientific partner of choice in East Antarctica. In addition to funding for the icebreaker, the Australian Antarctic Strategy is supported with $255 million new funding – this includes $55 million for infrastructure and $200 million for sustainable ongoing funding for the Australian Antarctic programme. The contract for the icebreaker brings total investment in Australia’s Antarctic program announced this week by the Turnbull Government to $2.167 billion. A modern icebreaker is essential for the resupply of Australia’s Antarctic research stations and to lead a world-class science programme. The state-of-the-art icebreaker will be uniquely tailored to meet Australia’s needs, and will be faster, larger, stronger than the Australian Antarctic programme’s current icebreaker, Aurora Australis and also offers increased endurance and icebreaking capability. The new ship provides a modern platform for marine science research in both sea ice and open water and a moon pool for launching and retrieving remotely operated underwater vehicles. Damen Schelde, part of the Damen Shipyards Group, will be responsible for the design and build of the Icebreaker. Damen is a globally leading shipbuilder with experience producing scientific, hydrographic, naval and ice class ships. The Coalition has provided the necessary funds to deliver this crucial infrastructure for the future of the Australian Antarctic programme, after Labor commence the process without the financial commitment. The Department of the Environment undertook a two part procurement process through an initial open market Request for Proposal and a subsequent Request for Tender process. 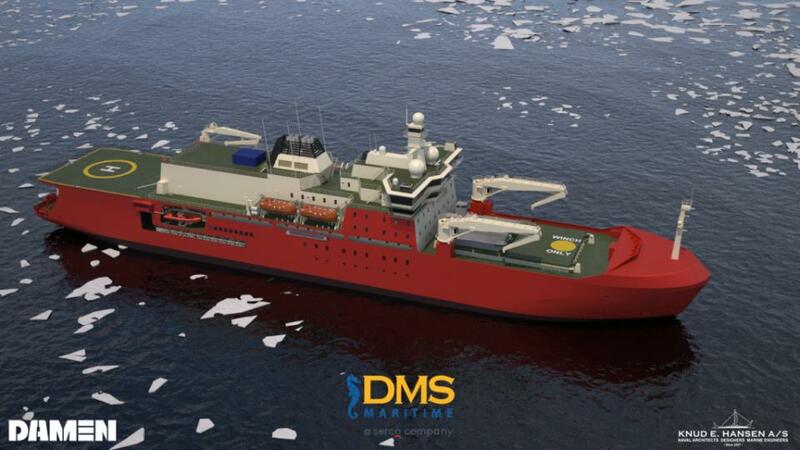 The Department engaged KPMG as the commercial advisor throughout the Request for Tender process and, following an extensive evaluation process, is confident it has secured the best solution for the delivery of the icebreaker from both a capability and value for money perspective. A multi-beam bathymetric echo sounder will enable seafloor mapping, while portable science laboratories will offer scientists space to conduct research. A new era of Antarctic engagement was announced today by Environment Minister Greg Hunt MP, with the launch of the AustralianAntarctic Strategy and 20 Year Action Plan. The Australian Antarctic Strategy sets out Australia’s national Antarctic interests and our vision for Australia’s future engagement in Antarctica. It recognises Australia’s strong strategic and scientific interests in Antarctica and the Southern Ocean, and sets out actions to support these over 20 years. Under the 20 Year Action Plan the Government is committing to the most significant package of measures ever developed by an Australian Government to build Australia’s role as a leader in Antarctica. With the scientific and operational capability delivered through theAustralian Antarctic Strategy and the 20 Year Action Plan, Australia will be well placed to lead environmental stewardship in the region and address the major science challenges of the next few decades. The Antarctic Strategy will ensure Antarctica remains ‘valued, protected and understood’. 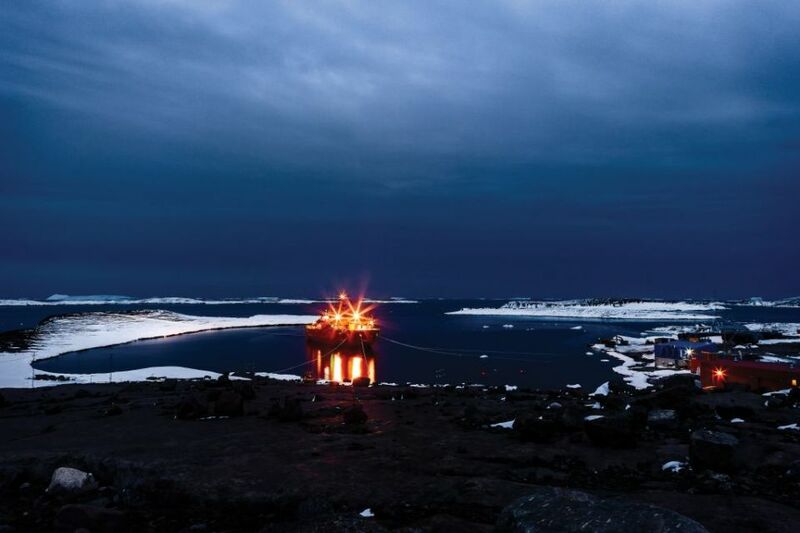 Read the background to the Antarctic Strategy and Action Plan – Dr Tony Press’ report providing a blueprint for Australia’s future engagement in Antarctica and options to expand Tasmania’s role as a leading Antarctic science and logistics hub. • A new world-class research and resupply Antarctic icebreaker. • New and stable funding to support an active Australian Antarctic programme. o greater collaboration and resource-sharing with other nations active in East Antarctica. • Strengthen the Antarctic Treaty system and our influence in it, by building and maintaining strong and effective relationships with other Antarctic Treaty nations through our international engagement. o a major review on building research infrastructure in Hobart to establish Australia as the world’s leader in krill research. A new era of Antarctic engagement was announced today by the Turnbull Government, with the launch of the Australian Antarctic Strategyand 20 Year Action Plan. The Turnbull Government is providing $255 million in funding over the next ten years to enhance Australia’s Antarctic logistics and science capabilities. This includes $55 million for infrastructure and $200 million for sustainable ongoing funding for the Australian Antarctic program. This is the most significant package of measures ever developed to build Australia’s role as a leader in Antarctica. Providing new operational funding and modernising the Australian Antarctic program will enable Australia to continue to deliver world-class science, and run our Antarctic operations safely and efficiently. The acquisition of a world-class icebreaker for resupply and multi-disciplinary science represents the largest ever investment by Australia in our Antarctic program. A deep-field overland science traverse capability and mobile research station infrastructure will provide essential support for critical Antarctic science. We have committed to scope further options to establish year-round aviation access between Hobart and Antarctica. This follows the successful trial of heavy lift cargo flights using Australian Defence Force C-17As this Antarctic season. Under the Antarctic Treaty system, Antarctica is designated as a natural reserve, free of mining and devoted to peace, environmental protection and cooperative international science. These investments allow us to work even more closely with other countries to strengthen this important and unique Treaty system. The CSIRO has today announced the establishment of a national climate research centre to be based in Hobart. CSIRO Chief Executive Dr Larry Marshall said the CSIRO Climate Science Centre will focus on climate modelling and projections for Australia, drawing on both national and international research expertise. “Our Strategy 2020 is focussed on collaboration, global connection, excellent science and innovation – all four of these pillars are at work in this Centre,” Dr Marshall said. “As I indicated at the start of CSIRO’s current broader change process, it is critical that we retain the capability that underpins our national climate research effort. Operating as part of CSIRO Oceans and Atmosphere, the new CSIRO Climate Science Centre has a guaranteed research capability for 10 years and will focus CSIRO’s climate measurement and modelling researchers and resources. Collaboration and partnership will be a cornerstone of this decadal commitment for Australia. In recognition of this, the Minister for Industry, Innovation and Science has agreed that an independent National Climate Science Advisory Committee will be established. The Committee will have representation from CSIRO, the Bureau of Meteorology and other experts from Australia and overseas. It will report at Ministerial level to inform the future direction of Australia’s climate science capability and research priorities. The Minister will work with the Minister for the Environment in the Committee's establishment. “The Centre, with support from the Advisory Committee, will allow scientists across the nation to provide a decadal commitment to climate research in the nation’s interest,” Dr Marshall said. The foundation of the Centre will be 40 full time CSIRO scientists. It will work closely with researchers from Australian universities and other stakeholders. Working closely with the Bureau of Meteorology, the CSIRO is also planning to deepen its existing partnership with the UK Meteorology Office. CSIRO will offer its unique Southern Hemisphere modelling capability and measurements to the UK’s global model, helping to build a model that is even more relevant for Australia and other Southern Hemisphere nations. All of CSIRO’s critical measurement infrastructure, such as the ice and air libraries, ARGO float program and Cape Grim, will be guaranteed in the same manner as the other national facilities such as the RV Investigator, which is also centred in Hobart. CSIRO thanks Australia’s Chief Scientist, Dr Alan Finkel AO, and its colleagues at the Bureau of Meteorology for their support in shaping this important national agenda.